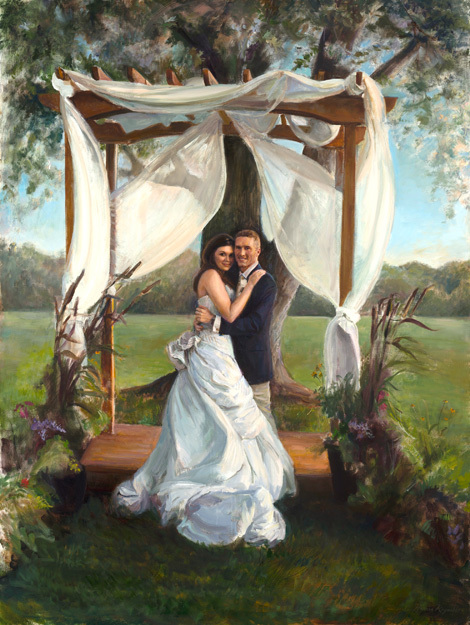 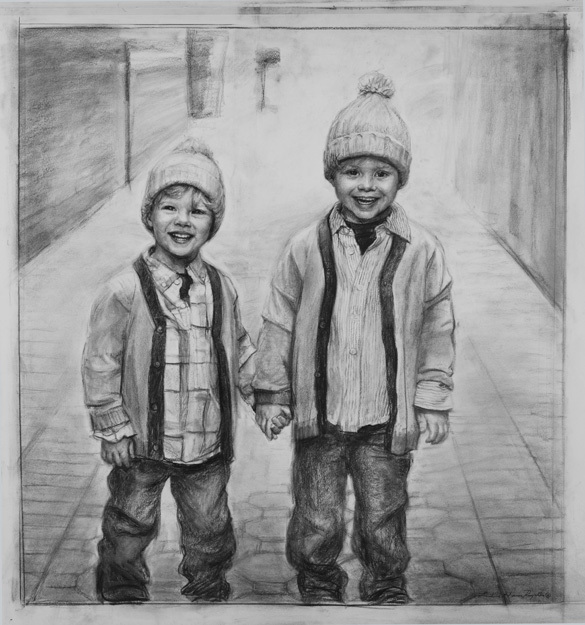 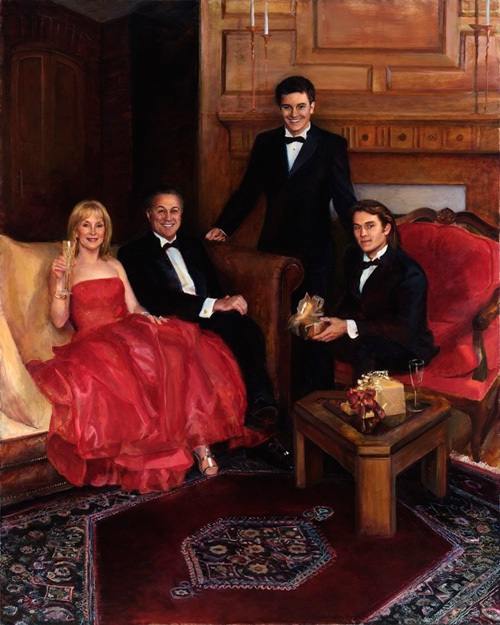 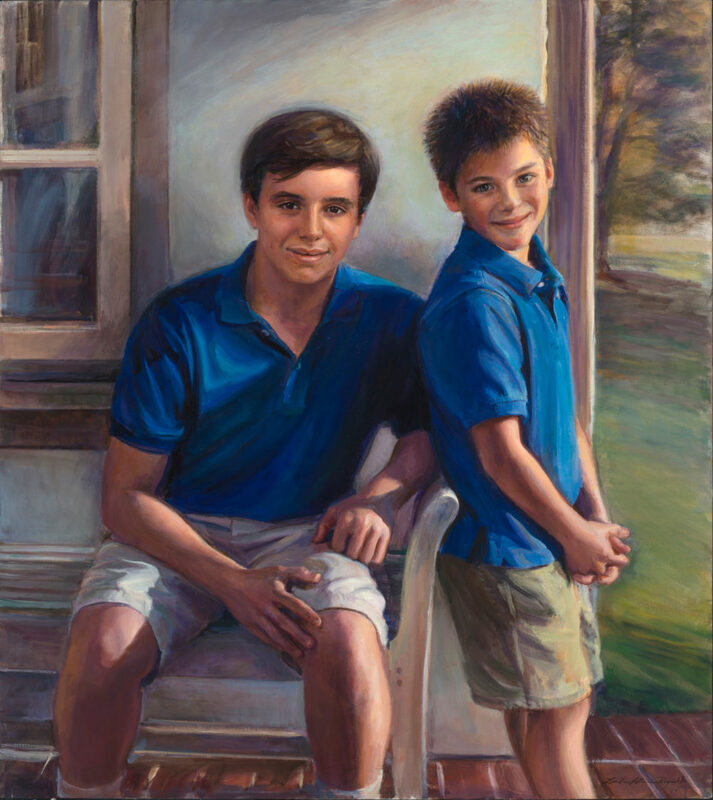 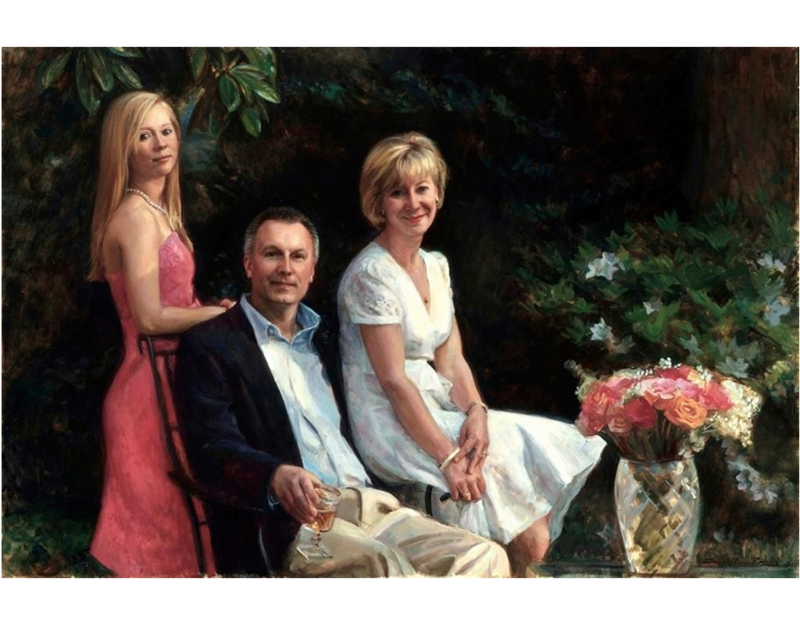 The ultimate goal of a group portrait is to capture each individual accurately, as well as portray a natural interaction between subjects contributing to a harmonious whole. 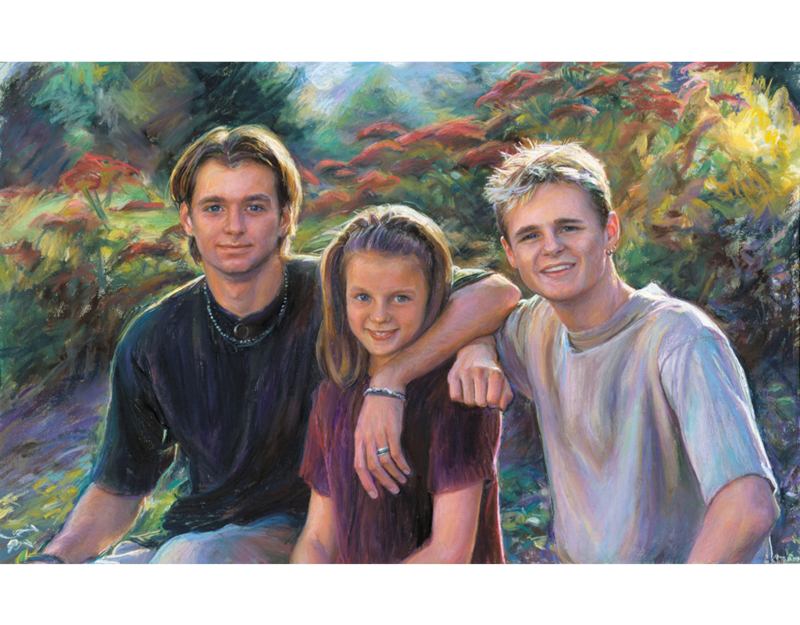 I love illuminating the spontaneous joy and friendship of two little brothers at play, or capturing a husband and father’s genuine contentment as he is seated between his wife and daughter. 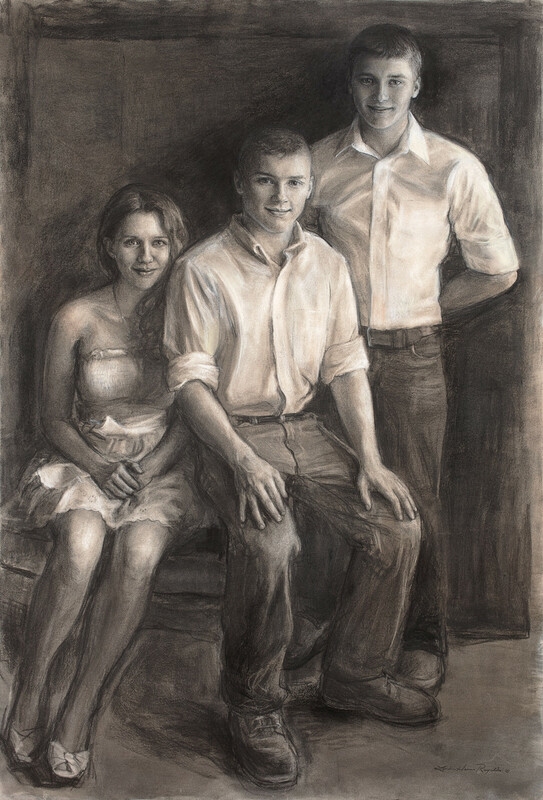 With compositional elements, and specific background environments, a group portrait can reveal a rare glimpse into a family’s world, and capture that moment for future generations to share. 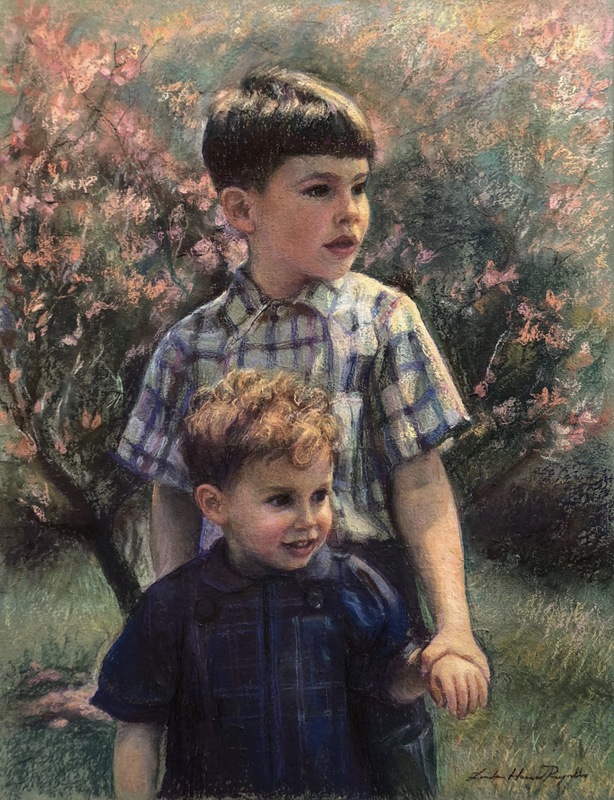 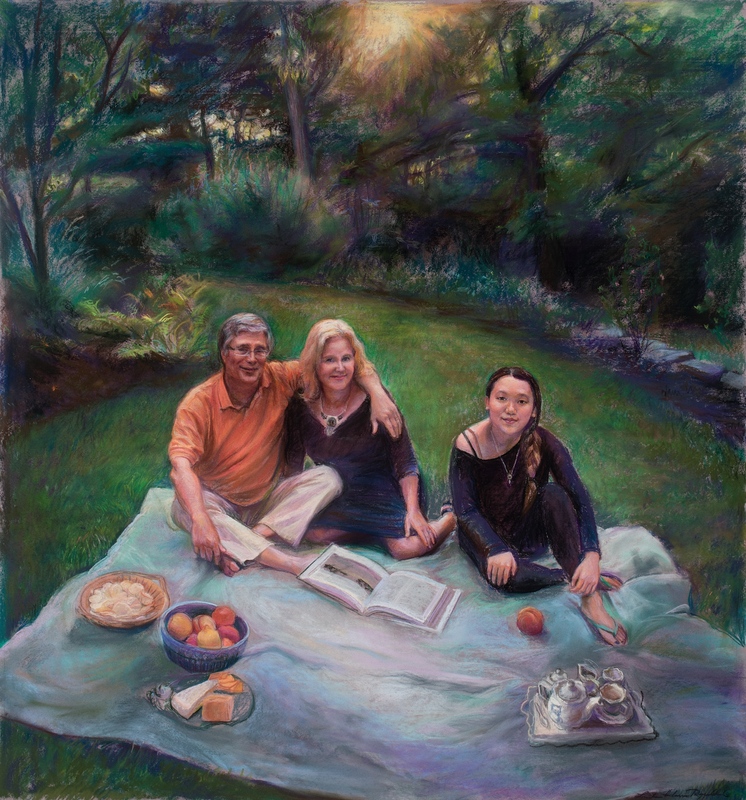 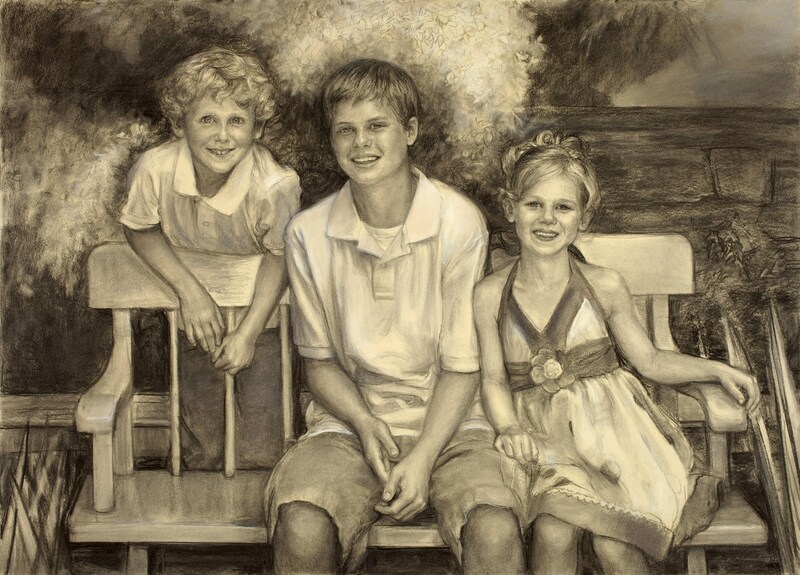 Morkides Family Picnic, Pastel on mounted paper, 34"x37"